Getting a bead on what transpired during the just-concluded Craft Brewers Conference in Portland is a tough assignment. That's what happens when you're part of a week long drunk fest that includes seminars and speeches. Hey, that vaguely reminds me of my undergraduate days at Washington State. For my part, I spent parts of a couple of days at the Convention Center, which was often packed to the gills--despite the fact that many attendees chose to pursue "activities" in other parts of town. My event itinerary included fewer imbibing stops than most, I'm more than sure. The Brewers Association, the non-profit trade group that represents small and independent brewers, tossed around some impressive factoids. 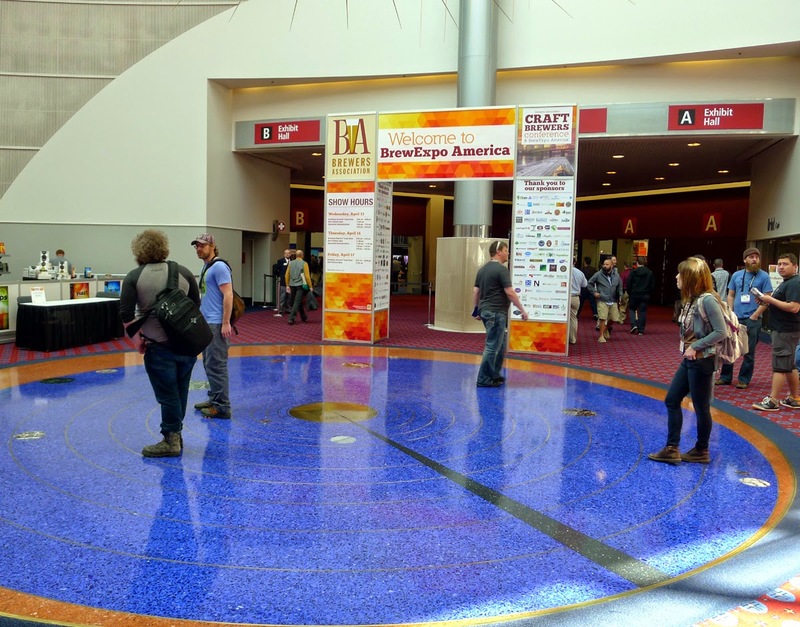 More than 11,000 industry pros attended this shindig, including 600 exhibitors and 175 or so presenters. 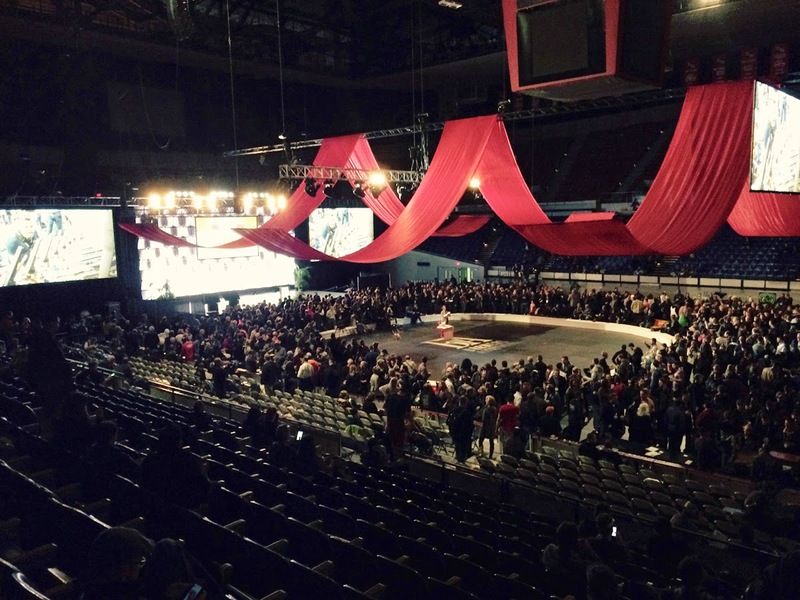 The Tuesday night Welcome Reception at Memorial Coliseum drew an estimated 8,500 folks. Some may have realized along the way that it was easier to find beer at this conference than it was to find water. But never mind. 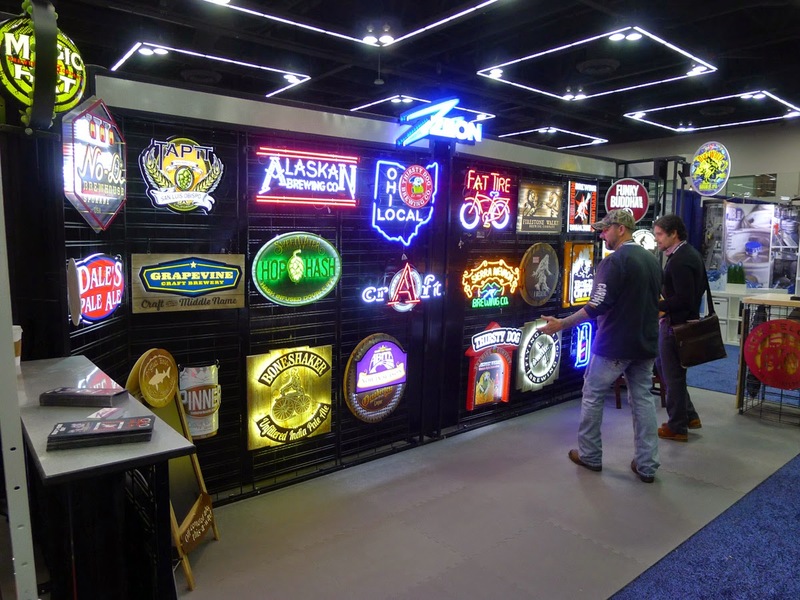 The Craft Brewers Conference was last held in Portland in 2001. A lot has morphed in the interim. At the time, there were fewer than 1,500 operating craft breweries in the country. Portland was home to 24 of them. The convention was self-contained in a single downtown hotel, which is hard to imagine considering what has happened. Fast forward 14 years. There were 3,418 craft breweries at the end of 2014, 58 within the city of Portland. Another 2,000 are in planning nationwide, an elusive number that is forever arching skyward. There's more. Craft beer accounted for nearly $20 billion in sales last year, out of roughly $110 billion in total beer sales. Staggering numbers. It was impressive to hear Brewers Association royalty talk about the health of the industry and its future prospects. Charlie Papazian, president of the organization, talked about the importance of integrity and staying true to who you are. Gary Fish, founder of Deschutes Brewing and chair of the BA Board of Directors, reviewed some of the industry's current legislative efforts and challenges. The presentations and educational seminars were nicely done and full of positive vibe. Out on the trade show floor, there was another not-so-subtle vibe. I attended several large medical trade shows in my former life. There were a lot of high rollers at those shows because healthcare is big business. I got the same kind of feeling at CBC...the smell of money was everywhere. I don't know what I expected. Not exactly this. 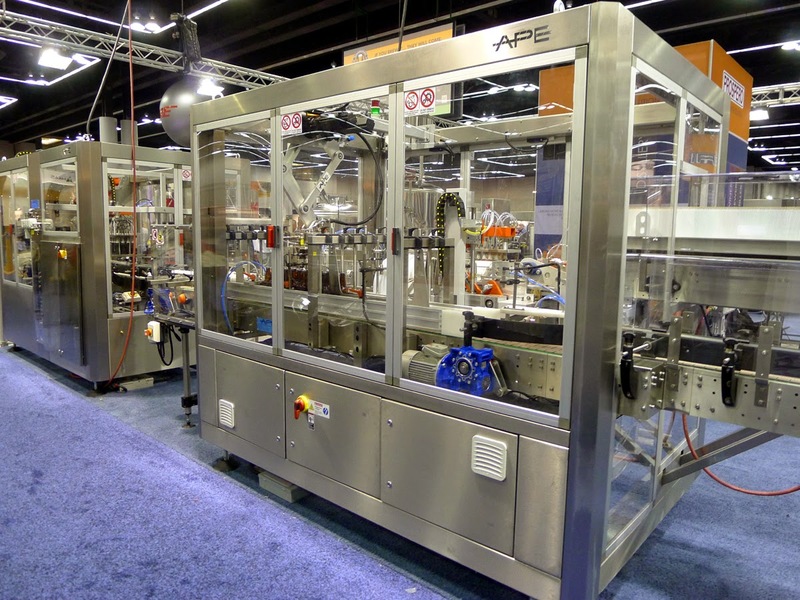 Exhibitors were hawking all manner of things, but what jumped out at me was the high-tech brewing and packaging equipment. There were obviously folks showing tanks, kegs, signage, schwag, hops, etc. The high-tech stuff struck a chord with me because it isn't cheap and there was a lot of it. The booths showing high end stuff weren't vacant by any means. These exhibitors were here because there's business to be had. You would never have seen this kind of thing 10-15 years ago. Keep in mind the equipment didn't exist. There were few prospective customers because craft brewers didn't have access to the cash needed to buy the stuff. Bankers were leery of breweries, which were considered long shots likely to fail. What changed is craft beer has become a huge growth industry, now perceived as a sound, even wise investment. So you have banks and private equity firms searching for ways to get in the game. And don't forget the ever-present and ominous shadow of Anheuser-Busch. There are oceans of capital available to today's breweries. That will continue to be the case until something changes dramatically. The unanswered question and elephant in the living room is this: How will all this money affect craft beer? Most craft breweries are small, brewing up to 1,000 barrels a year. They have strong local and regional identities and are passionate about what they do. What's going to happen when money enters the picture and blurs ownership and identity? Some, perhaps many, will say this is simply part of a maturing industry. Maybe. But the emerging scenario is unprecedented in the annals of the industry. So we'll have to wait and see what it brings. Most of the folks who descended on Portland and drank it nearly dry have skedaddled home. The city is returning to normal, whatever that is. Whether the CBC will return to Portland is an open question. I heard many people saying the city isn't equipped to handle a convention of this size. The availability of hotel rooms near the Convention Center is a huge issue, though not the only one. 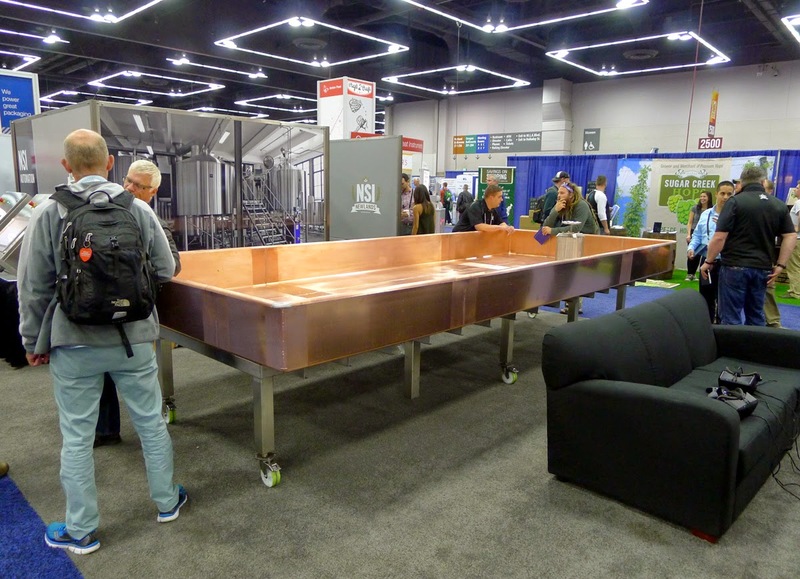 A connected source told me the Craft Brewers Conference will return to Portland only if it somehow shrinks in size. That seems pretty implausible at the moment, given the direction and momentum of things. But I suppose you never know. 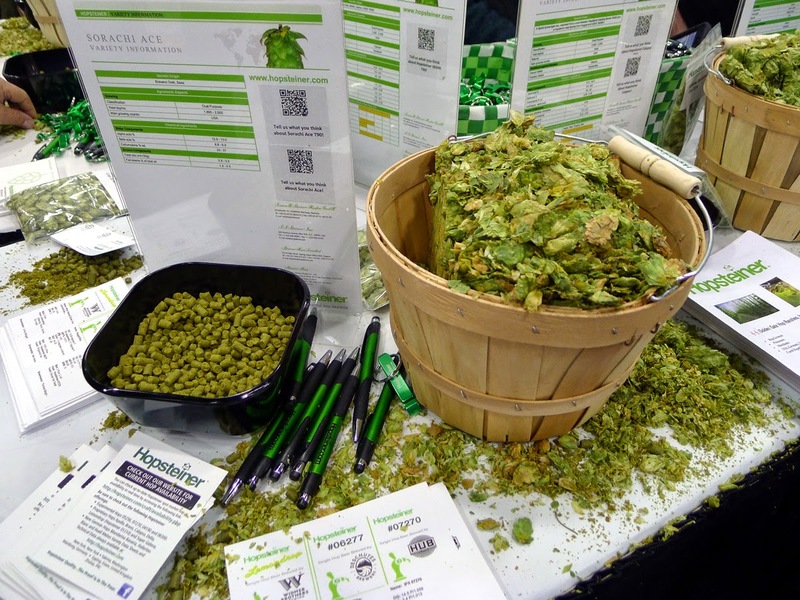 Labels: CBC 2015 Portland, summary.